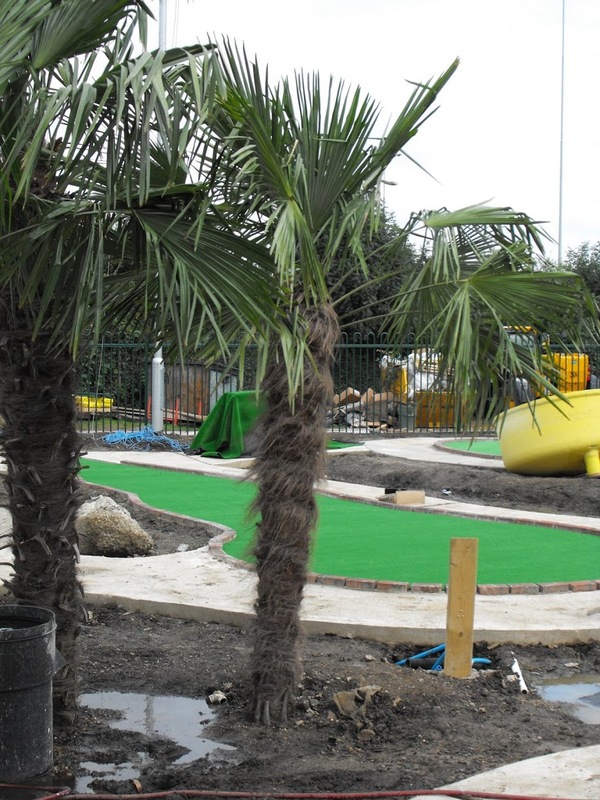 With pressing media deadlines and concrete barely laid, GGPR was tasked to get a lifestyle shot of the new Jurassic Encounter Adventure Golf course over to the picture desk of a national newspaper ahead of its launch on the bank holiday weekend. Never is a goose shy of a challenge, so donning sturdy work boots and with a handy Fujifilm FinePix 100fd they marched on over to New Malden to the still unplanted, mud filled pre-historic basin that will eventually become one of London’s coolest new tourist attractions. Discovering the 18-hole adventure golf course was still knee deep in cement, topsoil and anxious workmen, and with not a green leaf or dinosaur insight, the only solution was to get creative and trust in the fact that the camera never lies (well not the Fujifilm ones anyway). Working speedily with the gardening crew (who luckily had just rocked up with a van full of foliage) we geese coordinated a mass clean up around putting greens four and five, identifying a perfect natural frame for the picture with the aid of a convenient palm tree, then came the dinosaurs. A raptor here and pterodactyl there, along with a few more bamboos, ferns, shrubs and grasses and the much sort after picture was almost complete, the missing ingredient… that human touch. 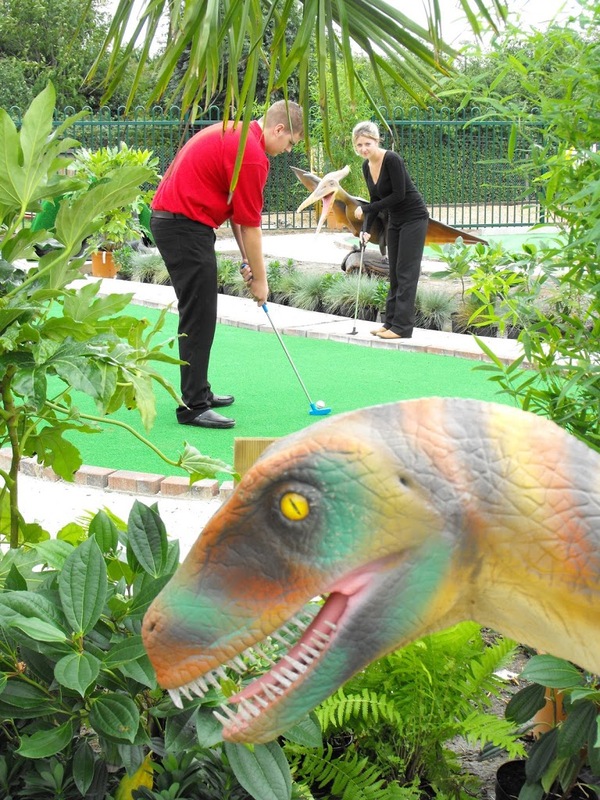 It didn’t take long to find two willing volunteers to have a quick putt around our impromptu Jurassic garden, so in two shakes of a Brachiosaurus’ tail we’d managed to work wonders – a lifestyle picture of what Jurassic Encounter could be like, but it wont be until it opens on Saturday 23 August that you actually undertake your own golfing adventure to find out how close to the finished venue it’ll be.